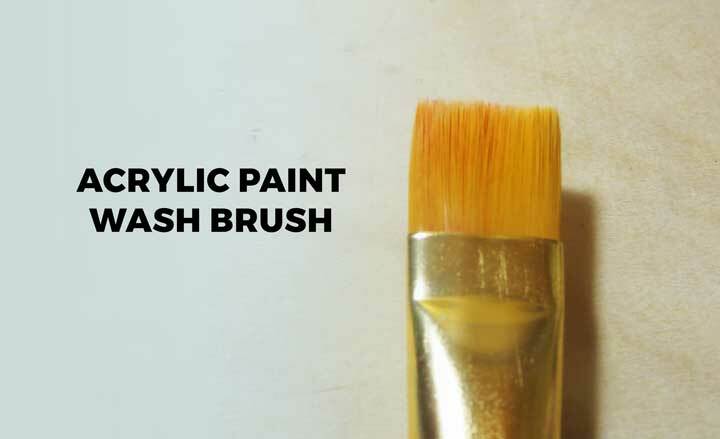 Today I wanted to share some basic and useful information on acrylic paint brushes – everything you need to know about the different types of brushes for acrylic painting, as well as share some examples of why and how you might use each brush. When I first started painting with acrylics, I really didn’t know a whole lot about the different types of brushes you could – or even should – use when painting. I pretty much stopped at my craft local store, grabbed a set of brushes off the shelf and just started painting with the one I liked best. To be honest, it was over a year of painting regularly before it even dawned on me that maybe the different brushes could be used for different effects and techniques! 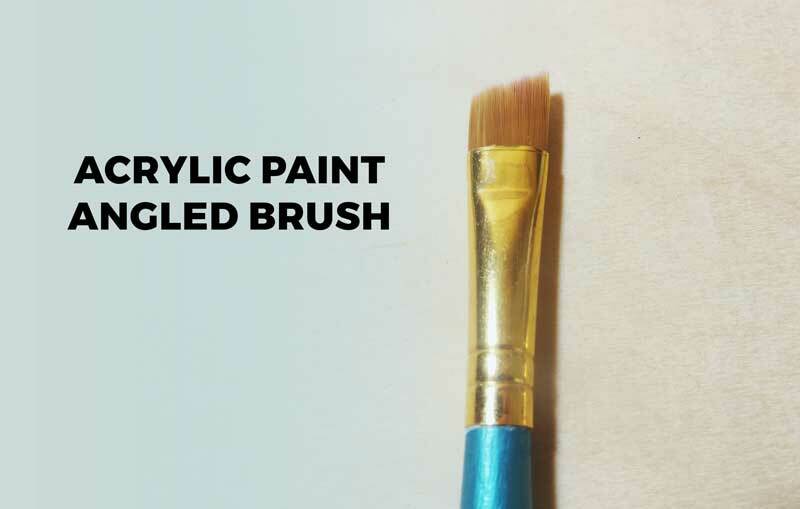 Fortunately, I’ve learned a LOT since I first started acrylic painting, and so today I wanted to share some information on the most common types of paint brushes when working with acrylics and what each brush might be used for. Rule #1: Know The Acrylic Painting “Rules” So You Can Break Them! While of course there is no set of definite rules on which brushes you can or should use – as the saying goes it does help to know what the rules are so you can break them effectively! Often times I find myself using the same basic acrylic brush types over and over again – not because I’m not aware of which brushes should be used – simply because I use the brushes that feel right and make me want to create the most! Other times I find that it is very helpful to push beyond using just one or two brushes. Using the different types can give you different results – and help you grow as a creative artist. 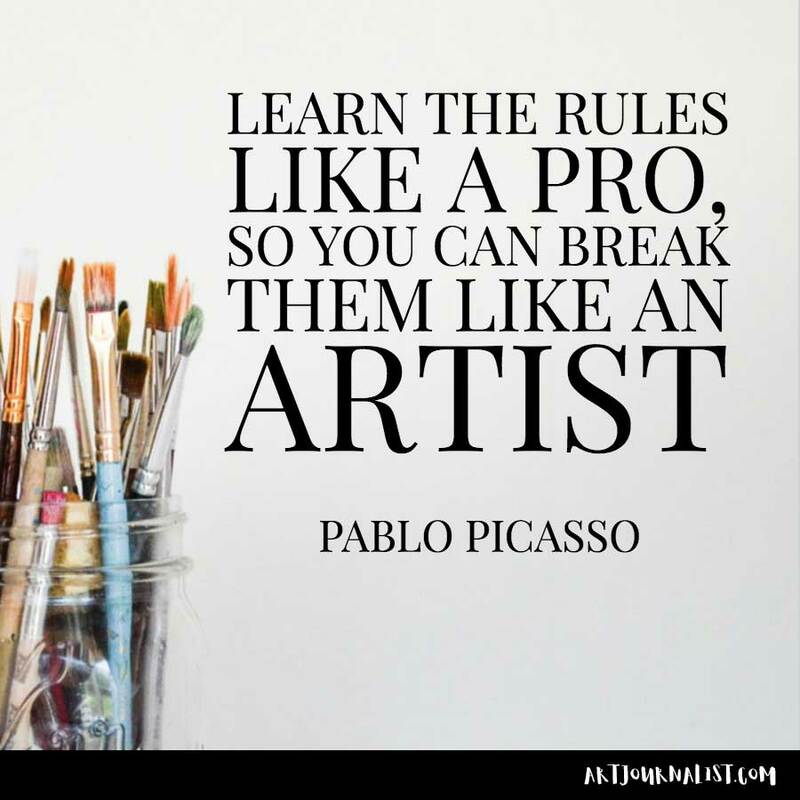 Pablo Picasso is just one example of an artist who had a very good understanding of this concept! It’s true: most of these brushes can be used in many different ways and for different techniques. Some artists may even disagree with the suggested uses for the different brushes! While some brushes are more common for different methods, there is certainly no wrong brush. It’s up to you the artist to decide which ones you are most comfortable working with! If you find yourself wanting to use a brush in a different manner than I share here – do not worry! There is nothing wrong with you or your style of art – much of it is part of your own personal preference. The goal here is to not make you a classically trained artist – I know I certainly am not one! My hope is to simply share with you some of the tools that can make your life a LOT easier for achieving different effects that you may be wanting to try in your own art. It’s always better to work with the paint brush than fight it! By understanding the different types of acrylic paint brushes and what each one can be used to achieve in your artwork – it opens up your creativity to stretch your imagination and explore with new different acrylic painting techniques. 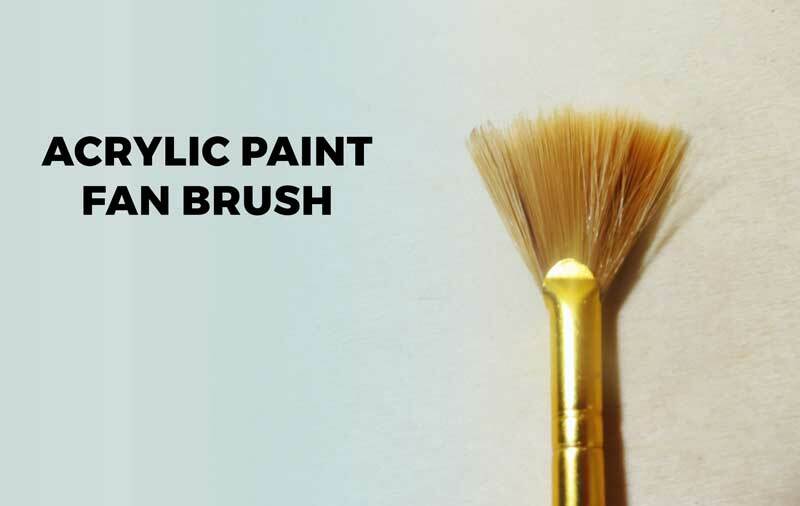 This list includes the 7 most types of acrylic paint brushes and what they are most commonly used for. Keep in mind though that these are just general recommendations and suggestions. While some fine artists might be uptight about knowing what are the right brushes to use for different acrylic painting techniques – remember there is no such thing as the art police! Your art is supposed to be fun and creative – and pushing the limits and the way things are normally done is exactly what makes most artists the amazing talented creative people they are! The acrylic wash brush is a paint brush that is VERY big. If you purchase a set of paint brushes and notice a brush that is gigantic compared to the rest – it is most likely a wash brush! 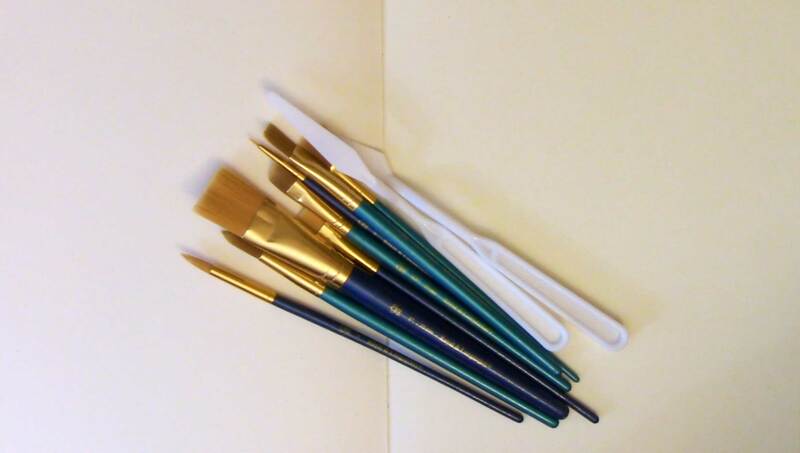 Acrylic wash brushes are best known for covering large parts of canvas or paper quickly. 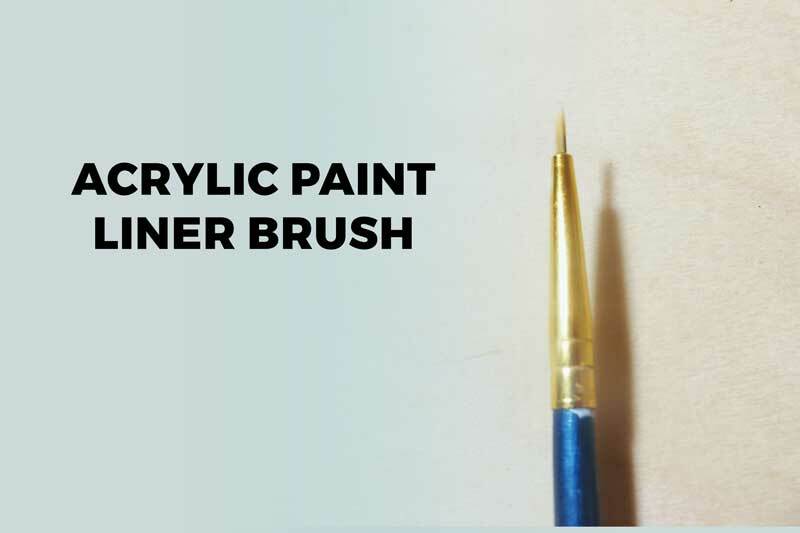 Paint can be applied using a dry brush, but most artists will use a wash brush by first dipping it into some water to achieve maximum coverage quickly. You may also notice these brushes are also thicker than most other brushes – allowing for the brush to pick up the most amount of paint and water. These are great brushes to use if you need to “pick up” a little excess paint or water off the canvas or paper you are working on. The angled acrylic paint brush is one of my go-to paint brushes. I use this brush almost more than any other brush when creating mixed media art journal pages! This type of painting brush has an angled or slanted tip, which is why they are sometimes also known as slanted brushes. A slanted tip for the bristles is especially useful for curves and being able to create lines and shapes that vary in thickness and coverage. If you like the flexibility of being able to go from thin to thick with just one brush, this is the brush for you! Angled paint brushes can also be more comfortable for many artists who are painting on a canvas upright on an easel, as there is sometimes a learning curve there since most of us learn to draw and paint while sitting down at a table at first! The flat brush very closely resembles a wash brush, except it is not quite as thick and the bristles are typically not as rounded on the edges. Flat brushes are great for wide strokes where you want a lot of paint coverage. 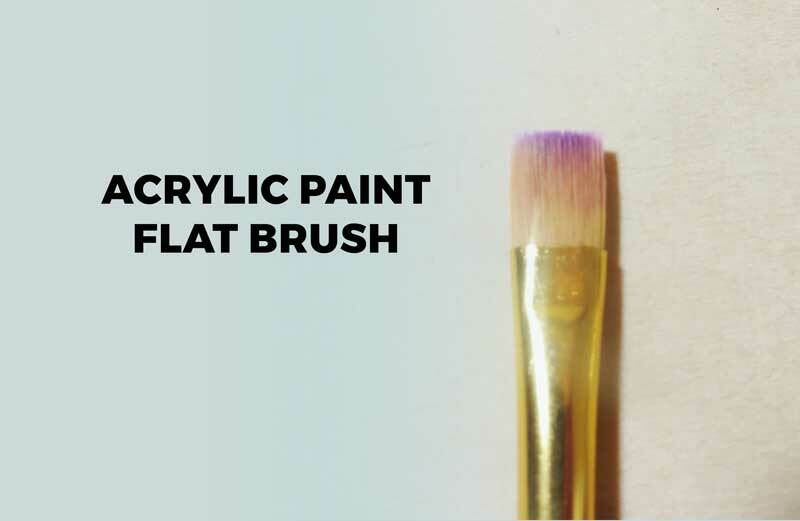 If you are working on a surface where a wash brush might be too large, the flat brush gives you excellent coverage while also providing you a little more control over the wash brush. Flat brushes can also be used for thick to thin lines, however for many people the angled type will likely provide a little more comfort and control when working on a canvas at an easel. The fan brush will become your new best friend if you’ve ever tried painting trees, grasses, shrubbery, or even abstract watery types of designs with acrylic paints. Fan brushes, as the name would imply, have a fan shaped tip. These brushes are great for blending backgrounds and skies, as well as adding subtle highlights to darker areas. You can also play around with a lot of different textures using a fan brush. If you tap the brush, you will get a different effect than if you simply create long brush strokes with it. While we often associate these brushes for painting nature elements and landscapes in acrylics, these brushes can also be excellent for adding fun textures and different designs in your mixed media art journals and abstract paintings as well! Round brushes are typically much smaller than flat and angled brushes, and have a soft rounded edge. These brushes give you maximum control for different details in your acrylic painting. The handle of these brushes have a narrower design and so are similar to the same feeling you would have when holding a pen or pencil. Use these brushes for adding details and when you need full control of the size and flow of the paint. You may also wish to experiment with using these brushes both wet and dry for different effects while creating. A liner brush is a very thin brush with very long bristles. It somewhat resembled the round brush, except it is MUCH, MUCH, MUCH smaller! Liner brushes are best used for fine details in your artwork. You can use liner brushes to dip into acrylic paint or even with ink. Liner brushes are excellent for having a lot of control of the paint brush and for creating very thin lines. You can also use a liner brush for lettering and adding words to your pages. Because the brush tip is very small, this makes it easier to write out letters, numbers and words. Many artists who sign their artwork would use a liner brush when writing their signature. In art journaling, this is a great way to add text and words to your pages. Liner brushes work best when wet, although they can of course can also be used dry. Dipping into water before the paint can help make the paint flow and spread a bit more smoothly. You can also use ink with liner brushes, which makes it very economical compared to using pens. Palette knives are technically not actually brushes at all, but they are a very common and popular way to apply paint to canvas. Many artists use palette knives in a variety of different ways to create different textures and effects in their artwork. The palette knife shown here and in the video at the end of this article are made from plastic. 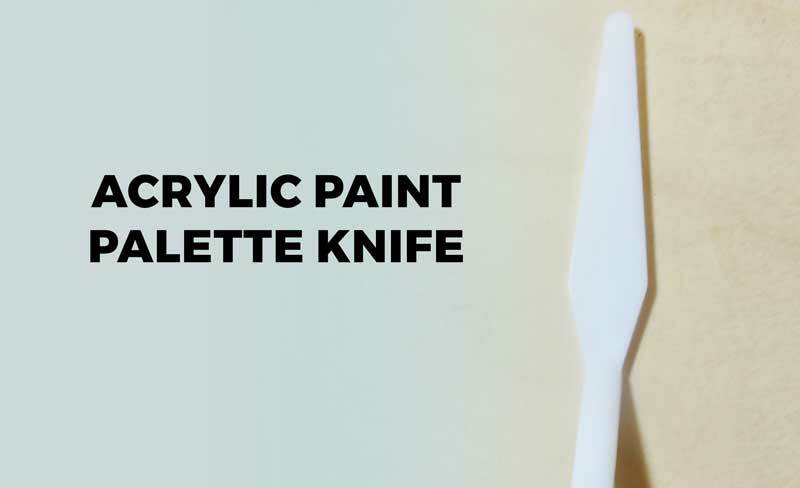 Plastic knives will work well for beginners and for your first experiences in exploring acrylic paints, but if you really love using them, it would be wise to invest in a metal palette knife. The advantage to a metal palette knife is they are generally much easier to clean. Metal palette knives are also much less likely to snap and break if too much force is accidentally applied to them. You can use palette knives to create different textures, spread paint, and build up various layers. Palette knives are most popular to use on canvas, because the paint tends to be applied very thickly. You can certainly use a palette knife in your art journals – just be sure that you allow for ample drying time to ensure pages do not stick together! You may also wish to use a lesser amount of paint so that the drying time is not as long. Want to See These Acrylic Paint Brushes in Action? Watch the Video! Our video on our YouTube channel goes over the many different acrylic paint brushes and shares some examples of them in use. You’ll see each of the 7 most common brushes listed above as I share what they do both dry and wet. This video I made will walk you through each brush step by step as I experiment with the different effects of each one in my art journal. 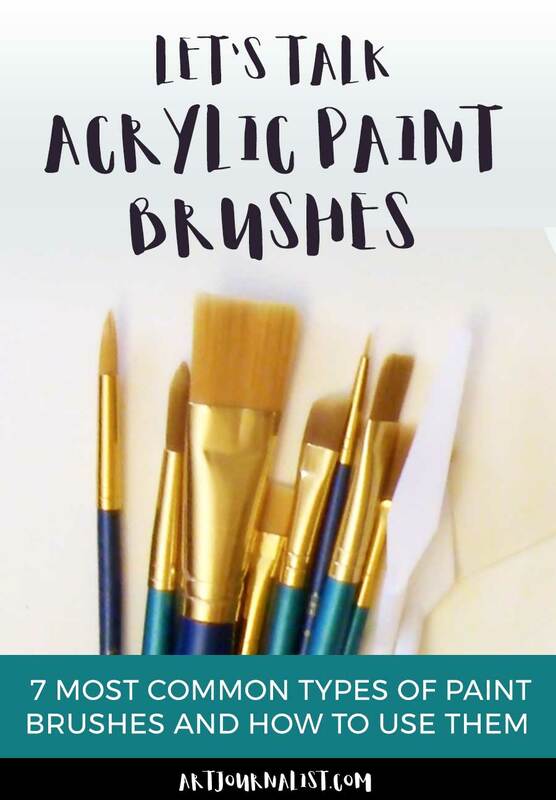 Hopefully the visual video guide will give you some better idea for the many different ways you can start using these brushes in your art journal and moving onto bigger projects such as acrylic painting on canvas as well! 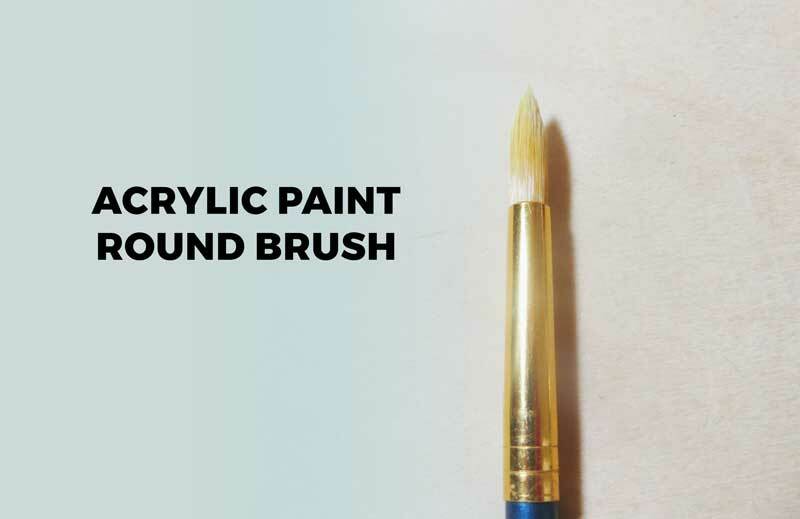 Start Using Your Different Acrylic Paint Brushes! My challenge for you today? Go try ALL the brushes that come in your brush sets! Create some new fun textures, shapes, and styles in your art journal with them! What Are Your Thoughts? Have Questions About Using The Different Acrylic Paint Brushes? Do you have a favorite acrylic paint brush that you use the most? Have you tried any of these techniques before for painting with acrylics? Or, do you have any questions about how to choose which acrylic paint brushes might work best for the techniques or style of art you want to create? Share your thoughts & ask away in the comments section below!